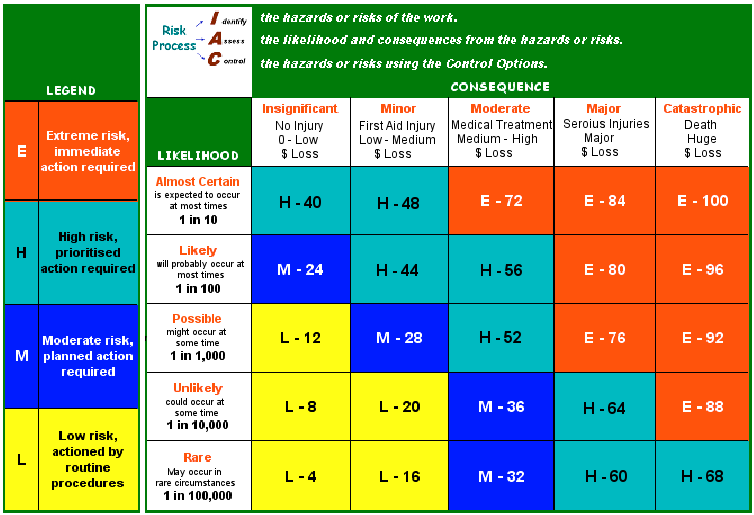 A risk matrix is a tool used in the Risk Assessment process; it allows the severity of the risk of an event occurring to be determined. Typically, a risk matrix includes columns for likelihood, and rows for consequences. The cells are then labelled or scored over a range.